TULSA, Okla. (Dec. 3, 2018) – Major League Fishing officials announced today that the MLF Bass Pro Tour will head next month to Kissimmee, Fla., to kick off its inaugural season. Though the majority of the Jan. 29 – Feb. 3 action will take place on historic Lake Toho, the championship round will be held on another nearby body of water out of respect for the Fishing League Worldwide (FLW) tournament that follows. News of the MLF Bass Pro Tour shook the fishing industry when it was announced in September. After obtaining the support and commitment of 80 of the world’s top anglers, MLF was able to begin conversations with potential tournament destinations in mid-October. While all 2019 locations are nearing announcement, Major League Fishing must first go through an extensive vetting process that includes an extensive survey of the area and lakes for each venue prior to confirmation. Unlike all other bass tournaments, MLF gives fans a real-time virtual onsite experience of angler coverage by using industry-leading communication technology requiring highly specialized connectivity needs to be able to feed all of MLF’s integral components, like its live-streaming MLF NOW! and SCORETRACKER© live. Major League Fishing features the 80 top anglers in the country and includes Bassmaster Classic champions, Angler of the Year winners and titleholders from both the Bassmaster Elite Series and the FLW Tour. In the Bass Pro Tour opener, two groups of 40 anglers will compete across Lake Tohopekaliga, known as Lake Toho, all seeking to make it to the final day’s championship round of 10 anglers. 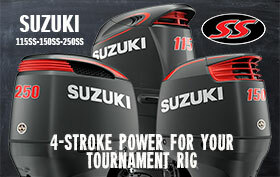 The format is for the competitors to seek and catch as many fish as possible in 7.5 hours of fishing, during which all “scorable bass” will be weighed, scored and immediately released back into the water, a scenario that sets the Bass Pro Tour apart from all other bass tournament series. 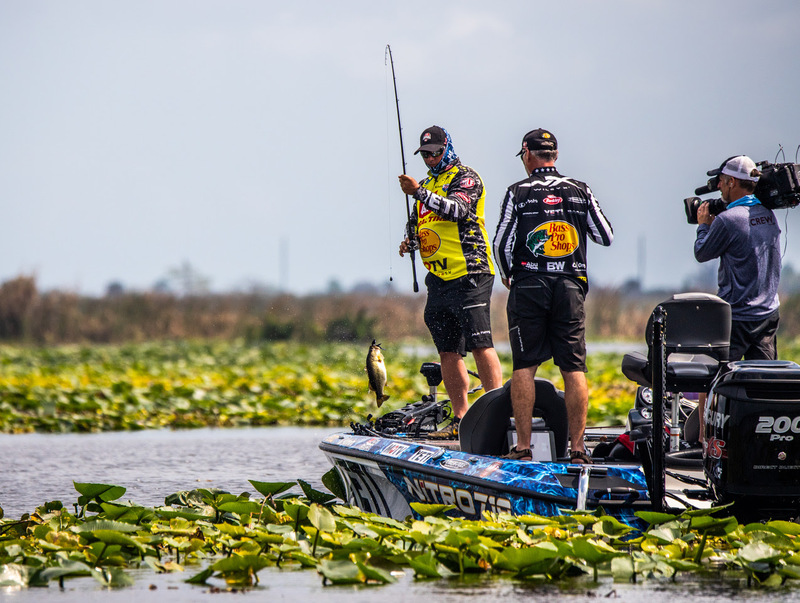 The Kissimmee Bass Pro Tour event will also result in a 2-hour television show that will air on Discovery Channel in the fourth quarter of 2019, and then in the first and second quarters on Sportsman Channel. 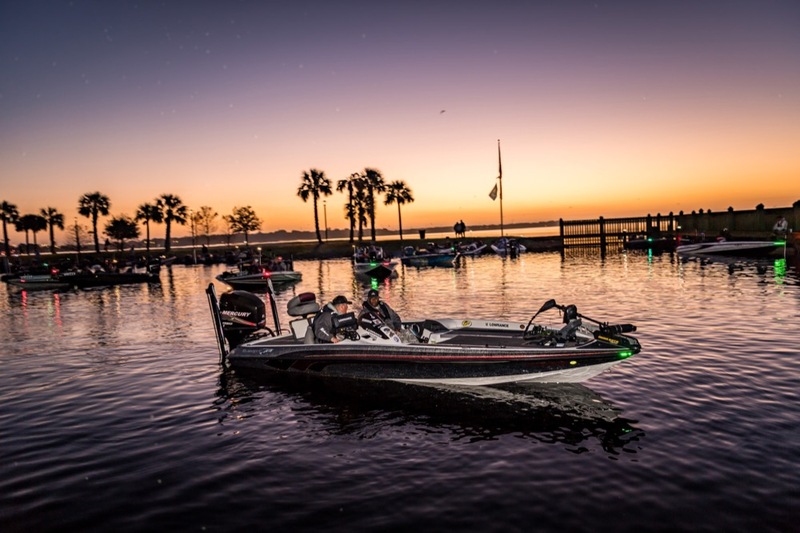 Major League Fishing has previously visited Florida twice to film its highly popular “Major League Fishing” television show, including the filming of the MLF 2018 General Tire World Championship, all of which also air on Outdoor Channel. Developed through a joint effort between Outdoor Channel and the PBT anglers in 2011, Major League Fishing brings the high-intensity sport of competitive bass fishing into America’s living rooms in the form of riveting two-hour TV episodes. World-class anglers are filmed over the course of a six-day event. The show captures their efforts as they utilize a demanding format that allows them to weigh all the “scorable bass” they catch. Unlike other competitive fishing events, live leaderboards in the boats allow anglers to know their standings at all times. For more information about the game, visit www.majorleaguefishing.com and follow Major League Fishing on Twitter, Instagram and Facebook. You can catch all current and past episodes of Major League Fishing on #MyOutdoorTV, the world’s leading outdoor television global, streaming service provider. Also, for more information about MLF anglers, see Game & Fish magazine, the official publication of MLF.